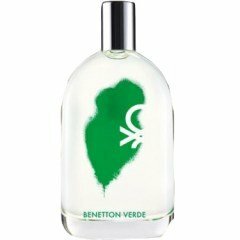 Verde Man is a perfume by Benetton for men and was released in 2010. The scent is green. The production was apparently discontinued. Benetton VERDE was the fourth in the colors series that I tried, and I found it just as wearable as GIALLO, BLU, and ROSSO. To my nose, VERDE bears a remarkable similarity to CERRUTI IMAGE for her. Maybe that's because CERRUTI IMAGE for her is really a masculine cologne in disguise--well, at least in summertime, when the aromatics volatilize to create Big Cologne sillage! This composition is rich in nutmeg, violet leaf, and the Benetton cedar note which plays an important role in three of the four color edts. I like VERDE a lot and find it more unisex than masculine. This is a refreshing aromatic composition with a touch of woody spiciness. Write the first Review for Verde Man!